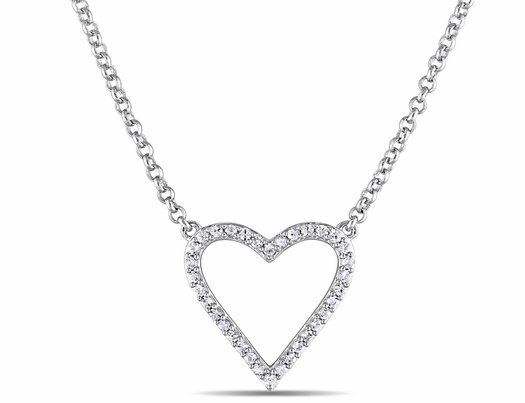 This stunning heart necklace from the Geometrics Collection features beautiful sparkling round-cut white sapphires set in sterling silver. This lovely pendant is hung on a an 18 inch sterling silver rolo chain and is secured with a lobster clasp. Delivered straight to your door in our signature Gem & Harmony gift box.